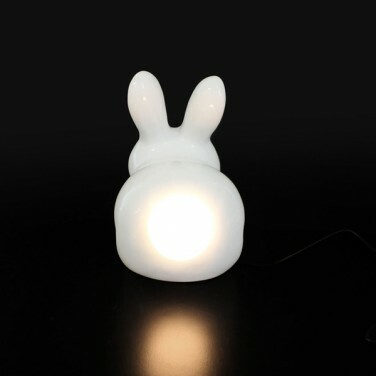 A charming children's table lamp or night light, this ceramic bunny lamp has an unusual quirk in that it has an LED light bulb where it's tail should be! 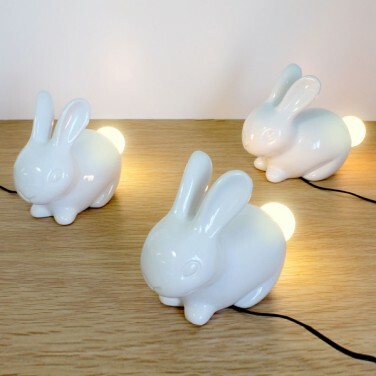 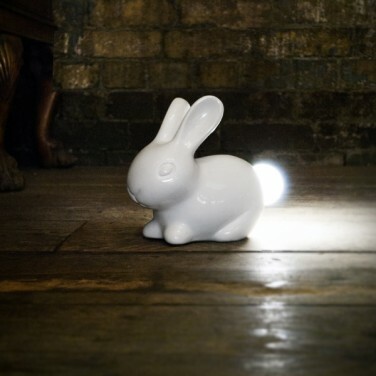 An exceptionally cute lamp that will be adored by kids, you can alter the brightness of the lamp by changing the direction that the rabbit faces in the room, for instance, if he faces directly out into the room with his tail to the wall, the light will appear dimmer than if he was placed at an angle to the wall. 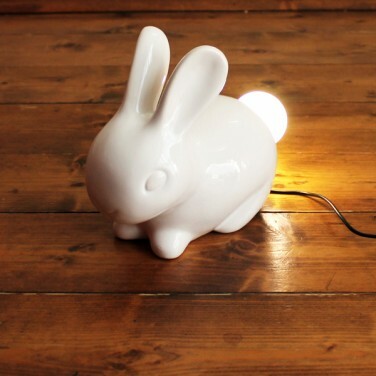 Lit by energy efficient LED's this gorgeous little bunny will be a big hit with kids and will be a great comfort at night.